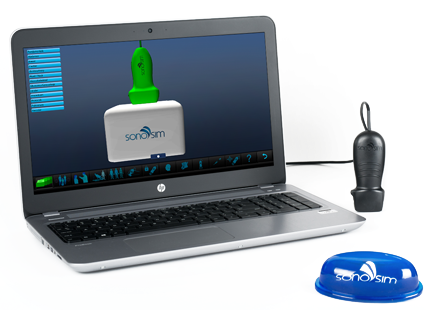 Anatomy of the SonoSim® Ultrasound Training Solution. SonoSim is not only one of the best purchases we made for bedside ultrasound education, it is also the most used for our ultrasound elective and at our workshops. The hands-on experience really helps when it comes time to scan an actual patient. The USB-powered Probe is an integral part of the SonoSimulator. 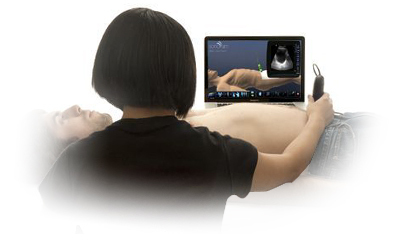 It allows you to scan using a variety of approaches (e.g., using your hand, live volunteer, or a mannequin) and receive immediate expert instruction and probe-positioning guidance using a laptop computer. Access real-patient cases on-demand. The Case Library contains over 1,000 patient cases covering a broad spectrum of normal and pathologic conditions. New cases are regularly added. SonoSim is not only one of the best purchases we made for beside ultrasound education, it is also the most used for our ultrasound elective at our workshops. You will have the opportunity to practice in a risk-free virtual environment and rapidly and safely perfect your psychomotor skills. The SkillBox allows you to acquire the basic psychomotor skills required for clinical image window acquisition and interpretation. You will subsequently be challenged to apply your newly acquired ultrasound image acquisition and interpretation skills towards clinical scenarios. The hands-on scanning cases come from the expansive and ever-growing Case Library. Real-Time Assessment and Performance Tracking. 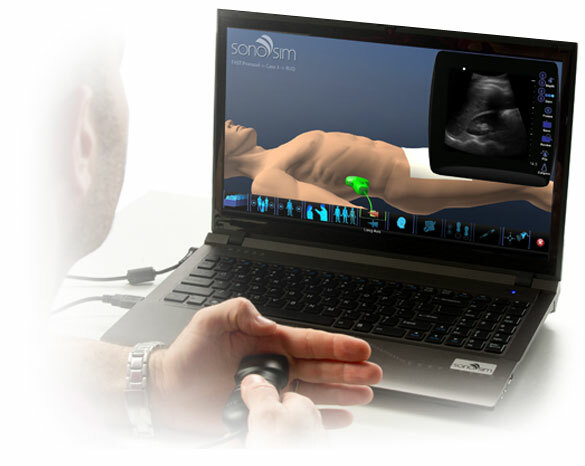 The SonoSimulator is a proven-effective, patented ultrasound training solution. It has been proven as effective as a live instructor and provides unique benefits over live instruction and course-based learning. SonoSim will let you uniformly train and assess large numbers of users in an automated way. 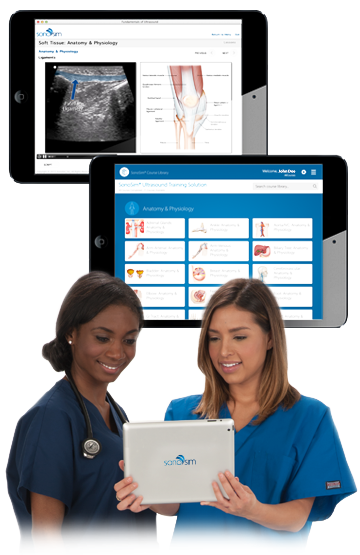 The SonoSim® Ultrasound Training solution is one of the more comprehensive and easy-to-use ultrasound training solutions available. In my over 25 years of experience with ultrasound and my exposure to multiple, different training courses, programs, and teachers, it is one of the best ones I have personally been exposed to.